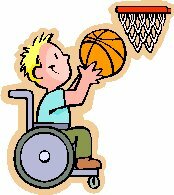 The newly formed Wolverhampton Wheelchair Sports Club, who train and play matches at the Bert Williams Leisure Centre, were the grateful recipients of an initiative of our Patron, Baroness Heyhoe Flint. A donation of £12,000 was granted by the Salisbury based Squire Foundation and another of £4,000 from POWER PLEAS. 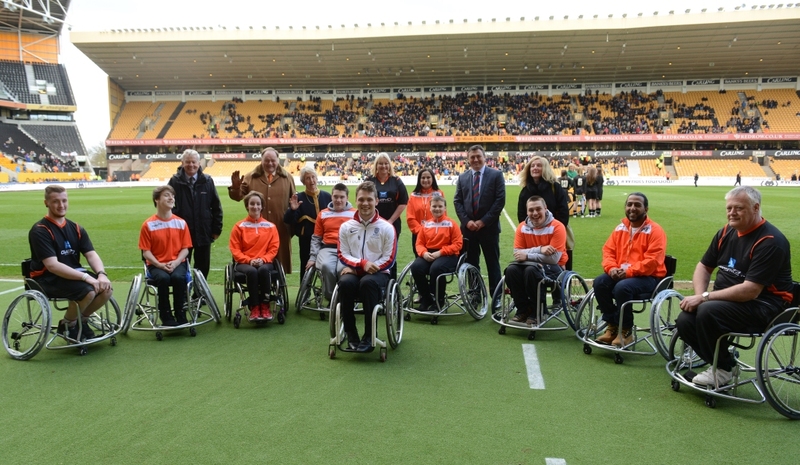 Athletes from WWSC were presented with their new wheelchairs at Molineux Stadium during half time at the match between Wolves and Rotherham. 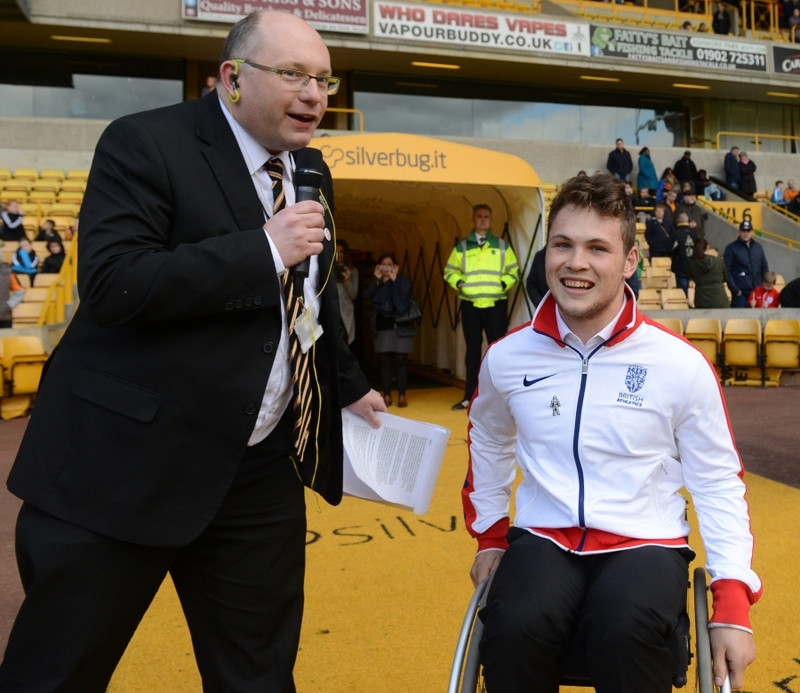 GB Paralympian, 19 year old Ben Rowlings from Shrewsbury – 800 metres European Bronze medallist in Cardiff in 2014 – was there to give a framed certificate marking the occasion. 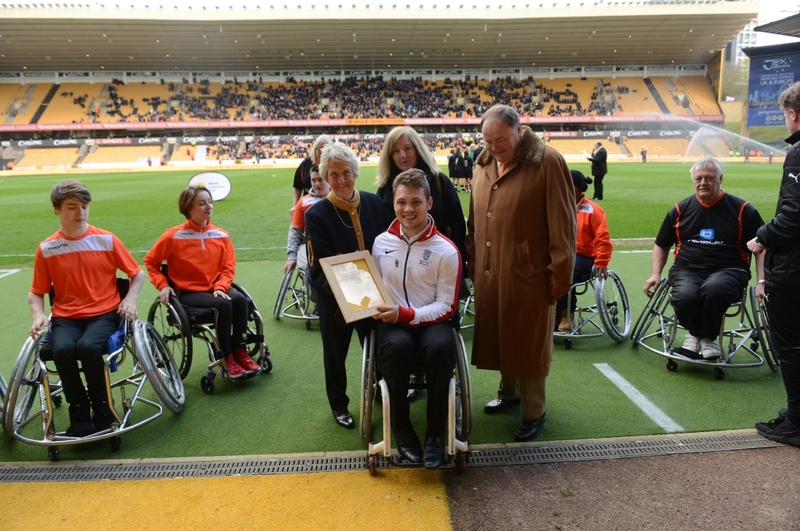 Ben was joined at the pitchside ceremony by Baroness Heyhoe Flint, Fiona and Geoff Squire, Principal Trustees of the Squire Foundation, and Joan Dunn and Sarah Baynham, officials of WWSC. The Club recently won a gold medal at a National Championship event at Worcester.